As the children at Casa del Aguila reach the age of 18 they “age out” of the orphanage and have to leave. During 2011, we began our College Scholarship Program to empower these young adults to grow and learn to be all that God created them to be. We want them to realize they are created in the image of God with gifts and abilities to effect change in the world around them. We want them to be people who will steward their lives, their communities and resources in order to bring glory to God. In Peru, if the students pass the entrance exam into the University in Cusco their tuition is free. All they need help with is living expenses and expenses for books, etc. There are currently two students in the program. 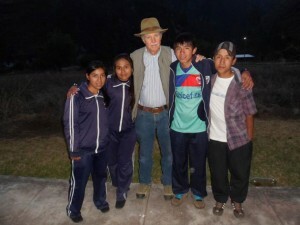 In 2013, we will have four more students from Casa del Aguila in the program. 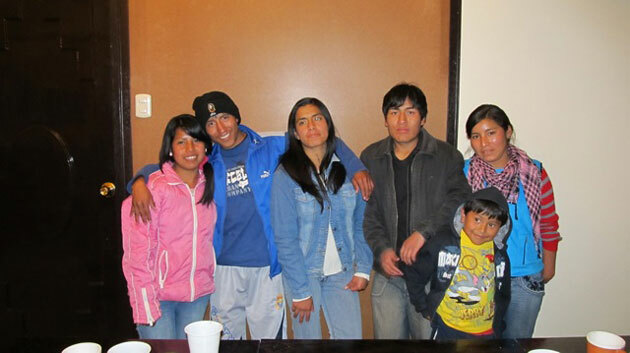 To make sure these young people are discipled along their journey, we have a house in Cusco near the University. The home can eventually house up to 15 to 20 students. A Christian couple will live in the home with the students to mentor them during this time. We have seen God’s hand in this program the entire time and give Him all the glory for providing for these children. If you would like to support one of these students and be a part of really making a difference in their lives please go to our “donate page.” For as little as $50 per month you can cover the costs of the student’s books and college supplies. For $150 per month you can pay for the student’s college and all their housing expenses. Be sure and type the student’s name on the donate page. Your financial support and prayers for this ministry are greatly appreciated. For additional information on the College Scholarship Program please contact Mike Gauntt, Executive Director at 210-254-4011 or mikeg.icm@gmail.com. From left to right: Maria Ureti, Jose Luis, Cladis Puma, Sylvestre Ochoa and Maricuz.